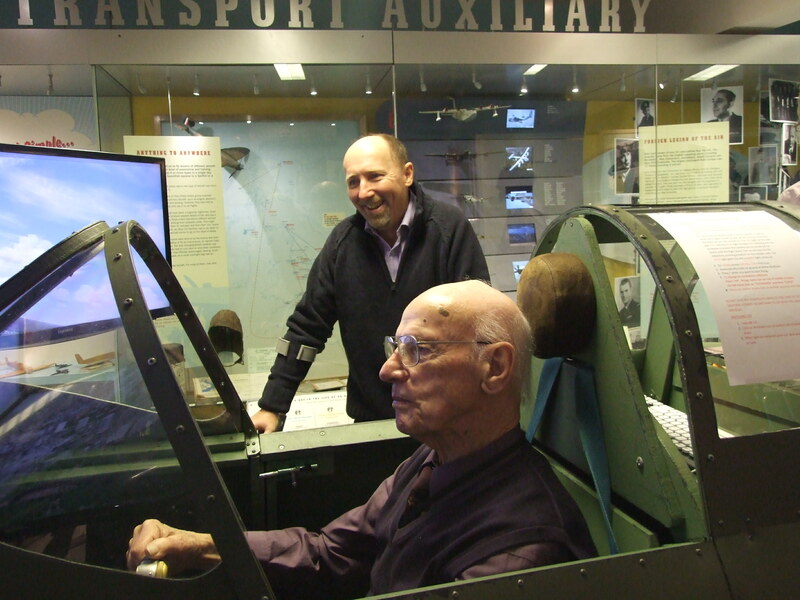 On Saturday February 6th we were delighted to welcome to the museum 91-yr old Martin Nicholson, who flew for ATA in 1944 and 1945. 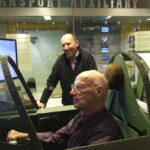 Martin took to the air in our Spitfire simulator, landing at Heathrow and then flying around the skyscrapers of modern-day London. The photo shows him concentrating very hard while his son Anthony looks on. We have two filmed interviews with Martin in our archive which casual visitors can watch on the computer in the ATA exhibition area. We are delighted to announce that Jon Dance-Groom is joining us on February 9th as our new Learning Officer. Jon is a primary school teacher and lives in Cookham, so he not only knows the local area but local schools as well. We wish him every success in his new position.